This entry was posted in Dynamics and tagged Angular Acceleration, General Planar Motion, Rotational, Translational on July 13, 2017 by lfaidley. This is a simple demonstration to distinguish among a particle’s coordinates, position, displacement, and total distance traveled. 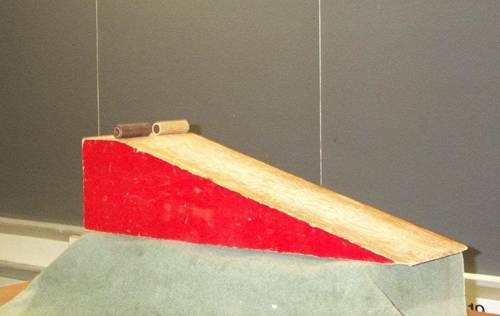 A remote-controlled car is used to demonstrate the distinctions, for a particle in rectilinear motion. This demonstration should take 5-8 minutes. This entry was posted in Dynamics and tagged Coordinate, Displacement, Position, Total Distance Traveled on July 13, 2017 by lfaidley. 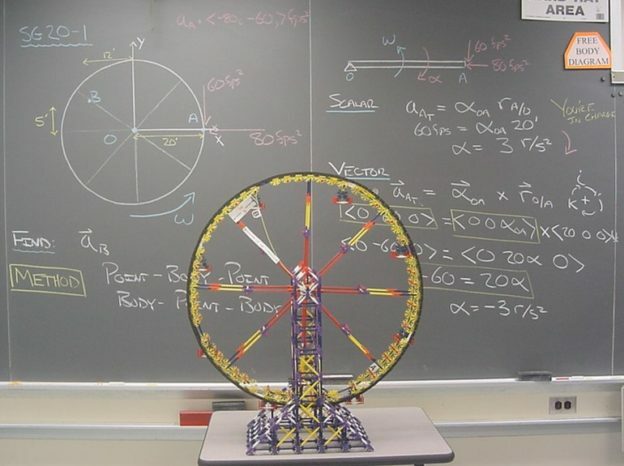 This training aid demonstrates the rotational kinematics of a rigid body, the first step in rigid body kinematics problems. This demonstration should take 10-15 minutes. This entry was posted in Dynamics and tagged Fixed Axis, Kinematics, Rigid Body, rotation on July 7, 2017 by lfaidley. This entry was posted in Dynamics and tagged Absolute Velocity, General Planar Motion on July 7, 2017 by lfaidley.